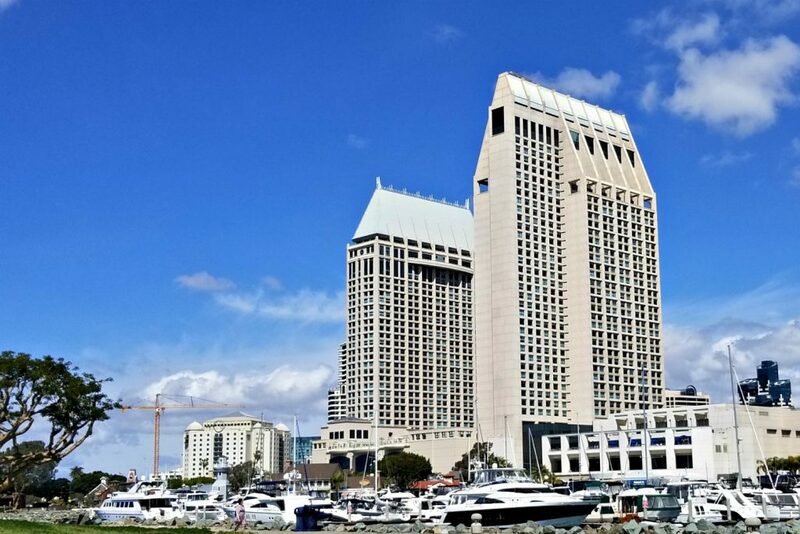 If you are looking for a great spot to stay in San Diego with plenty of options in walking distance, then the Manchester Grand Hyatt is a perfect choice. Note ~ I paid out of pocket for this stay and am not being compensated for this write-up. All opinions are my own. 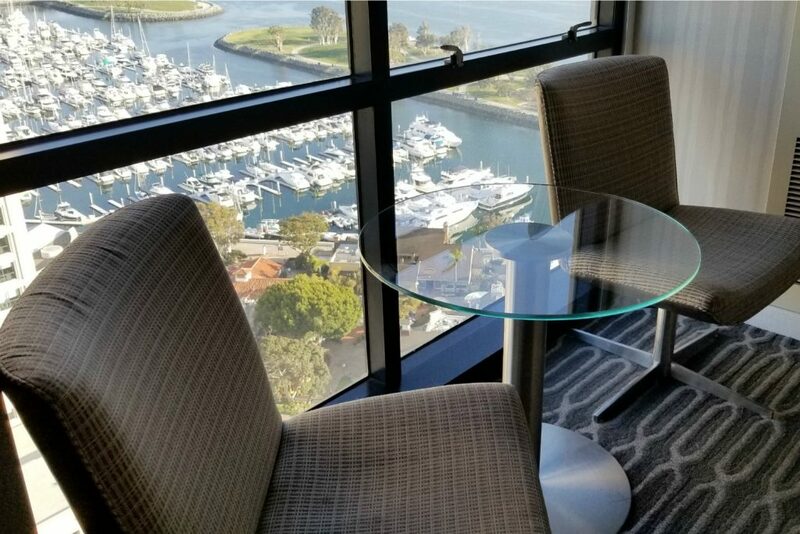 Situation next to Seaport Village, this hotel has two towers of guest rooms, multiple restaurant options, and space for small to mid-sized conferences. My stay there was for Social Media Marketing World which originated at this hotel. But, as they have grown to around 6,000 attendees, they now use space at the San Diego Convention Center. The Manchester Grand Hyatt was a perfect choice for location to the conference with just a short walk needed. If you don’t want to walk, there are also scooters to rent along the sidewalks that get you there a little faster. 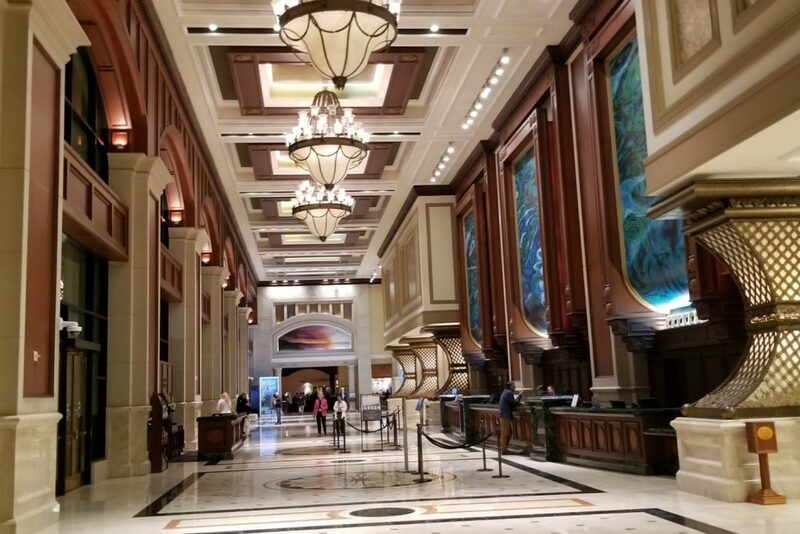 From the moment you enter the grand lobby, you know that you are in for a treat. Everything is elegant without being overstated. Front desk staff are efficient while being friendly whether checking you into your room or helping you with other things required during your stay. For our stay, we were in a room with 2 double beds up on the 24th floor. This was a slight upgrade from my original reservation as the room had both city and bay views from the window. It also overlooked the pool area. The room furnishings have wonderfully clean lines, the beds had so many pillows I could make a person form if desired, and I loved having the small refrigerator to hold some beverages and snacks. The small table with 2 chairs was perfect for soaking up the views while enjoying a meal in the room or working on my computer. For those desiring more space, the property does offer suites from 700 to 1450 square feet. Another option that I did not add to my stay is access to the Grand Club. This is a feature which would have added close to $100 a night to my cost as it included a higher floor room and Club access. Inside the club, you will find food for breakfast, hors d’oeuvres around dinnertime, and drinks and snacks in between. If I was going to be on site more than just for dinner and sleeping, it could have been worth the upgrade. I’ve experienced the Grand Club at a different property and ended up eating both breakfast and dinner there. For those that do not want to go off property for meals, there are plenty of options. Some of the menus clearly indicate dishes that are gluten-free while others have the ability to order so that you avoid gluten. As someone who has to avoid gluten now, I am very glad to have options when I travel. There are 2 options I did not visit on property. In the mornings, they offer a large breakfast buffet at Seaview Breakfast Buffet Restaurant. And for adults, you can get spectacular views of the area from Top of the Hyatt where you’ll find a full bar and small plates of food. The most budget-friendly and quickest option is the marketplace ( MARKET | ONE ) which is open 24 hours a day. Here you’ll find ready-made items in the cooler section along with a variety of beverage and snack choices. There is also a limited Starbucks menu for coffee drinkers. And during set hours you can get hot dishes prepared in the adjoining kitchen. The staff was very helpful when I had questions about some of the food options. One of their chefs came out to talk with me to discern what I could have or how they could modify a prepacked item to make it gluten-free. 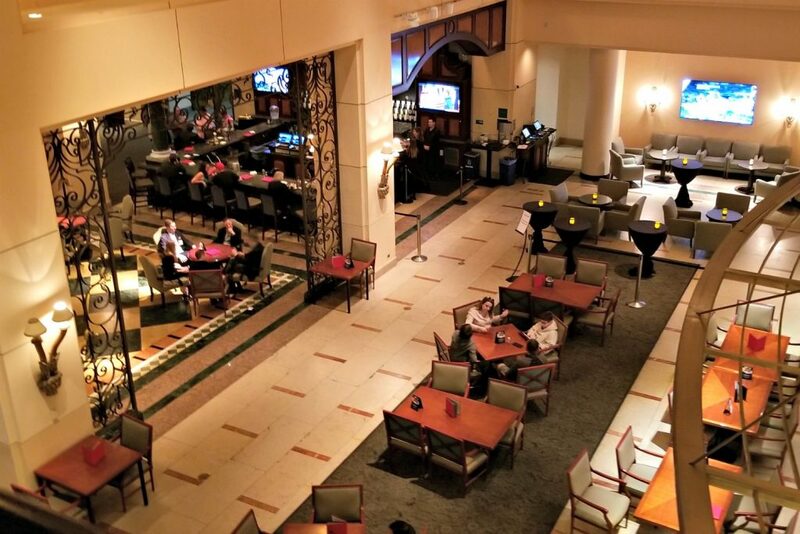 The Grand Lobby Bar is open for food service in the evening and is a bit more casual with a seat yourself approach. My first night here this is where I grabbed a fish taco plate for dinner. The seasoning used does have a little heat to it, which I loved. However, my roommate found it spicier than she normally prefers. The tortillas and chips were made from just corn, so completely gluten-free for me. 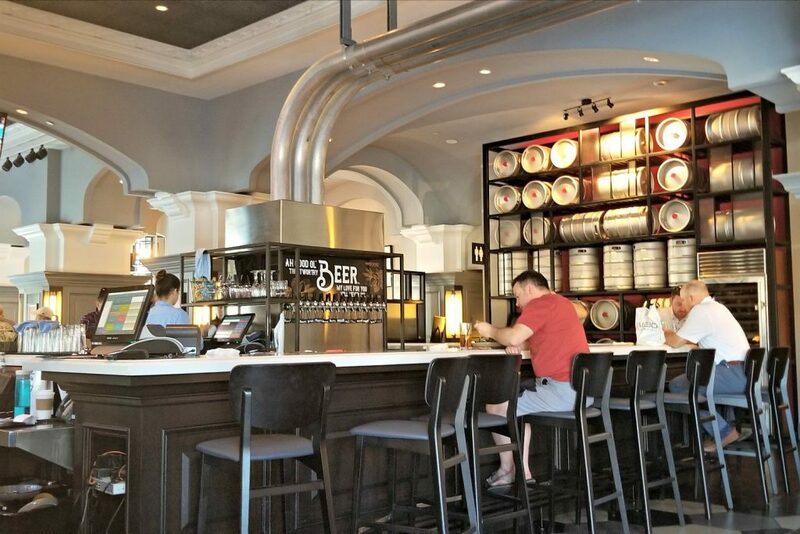 BREW30 is a casual environment where you can get one of 30 beers on tap as well as typical bar food. It is a seat yourself approach with tables as well as space at the bar. Want to bring the food with you? You can place takeout orders at the bar. I ordered 2 different burgers over the course of the week here. One I did as takeout to my room for dinner and the other I ate inside the restaurant for lunch before departing San Diego. The fries in the photo below were my roommates. I sampled just one (they were delicious! ), but stuck with a side salad to keep my meals gluten-free. 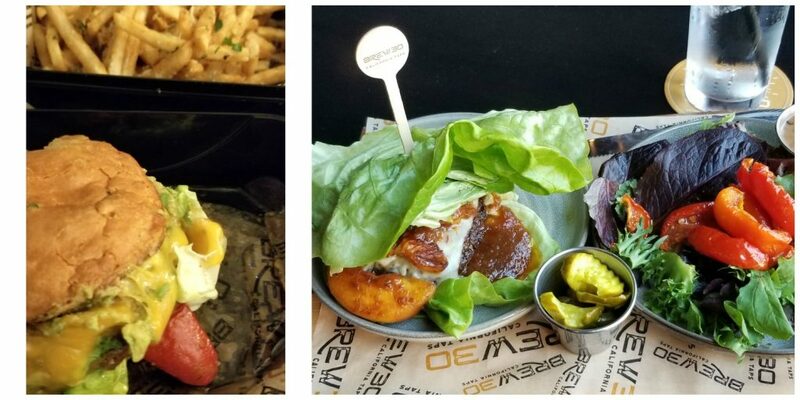 The burger on the left (Cali burger) was mine with their gluten-free bun (additional charge.) The one the right is the Jamaican Jerk Burger with a lettuce wrap that I ate with my fork and knife. I did have the server verify with the chef that no gluten was in the seasoning blend. 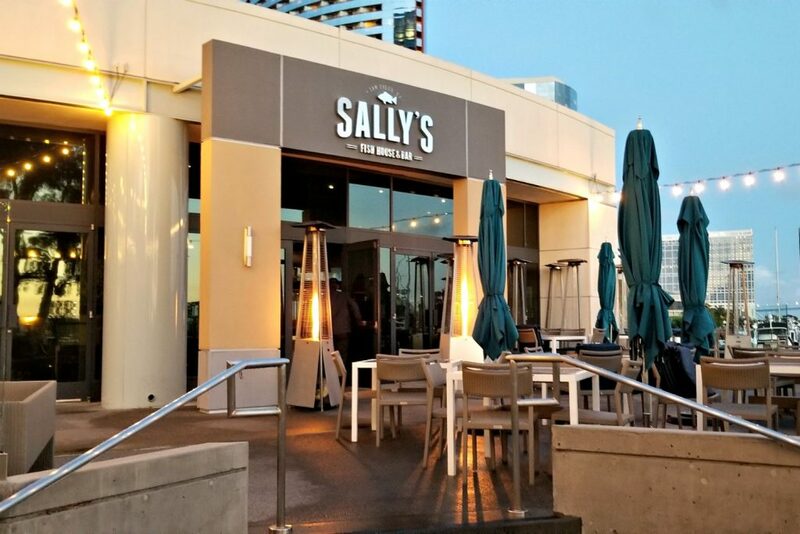 Technically part of the hotel, but accessible outside of the main structures, you’ll find Sally’s Fish House & Bar. This restaurant offers views of the bay with a focus on local, seasonal ingredients for their menu. When the weather cooperates, they have outside tables for dining where dogs are welcome. I opted to splurge on the Surf & Turf when I went for dinner. My plans to save part of the steak went out the window as the perfectly portioned piece was so delicious I ate the whole thing. While I did not avail myself of them, there are some great options for those wanting to unwind or get a workout into their days. The pool is large and warms up with the sun during the day. Alongside the pool area is an outdoor recreation space with different lawn style games. If you are looking to get in a workout, they have a phenomenal fitness center. Beyond the great equipment, you can have a fabulous view of the bay while using one of the cardio machines. For those who prefer to run outside, they offer a map of options outside of the fitness center. Enjoy this video of me showcasing the room we stayed in as well as views of the pool area, San Diego Bay and the fitness center. I am already looking forward to attending Social Media Marketing World next year and most likely will return to this property. Between the location and amenities, it is a great option. While I went without kids, there were families on site. The outdoor space (lawn games and pool) is a great spot for families as is the ease of walking around town. Have you visited San Diego? What features are you looking for in a hotel stay?